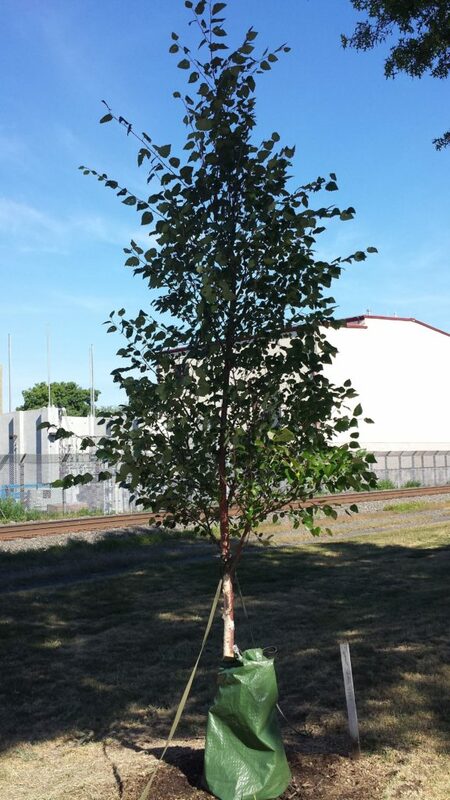 Planted 2015 Dumont Arbor Day! 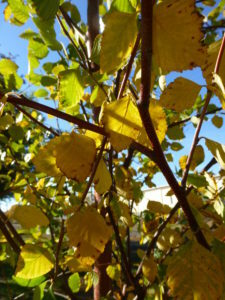 A Large Tree, it will grow well over 50′ at maturity. 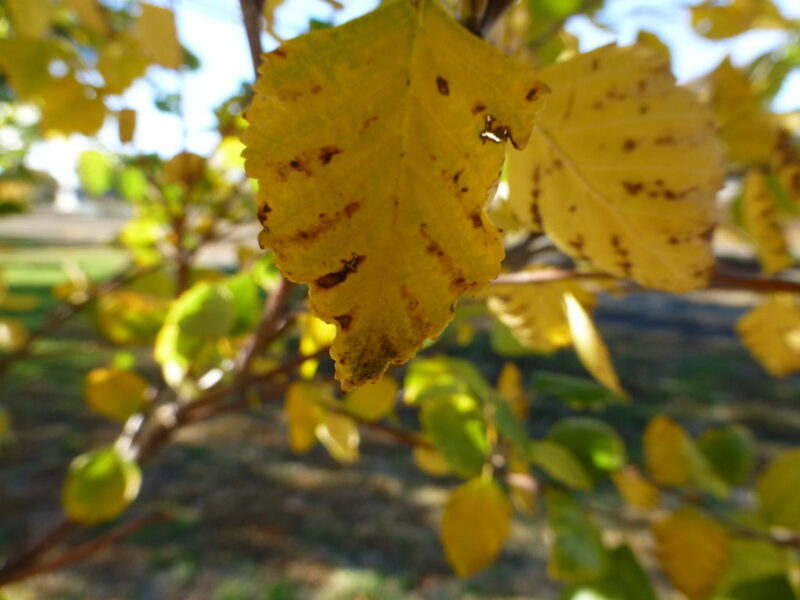 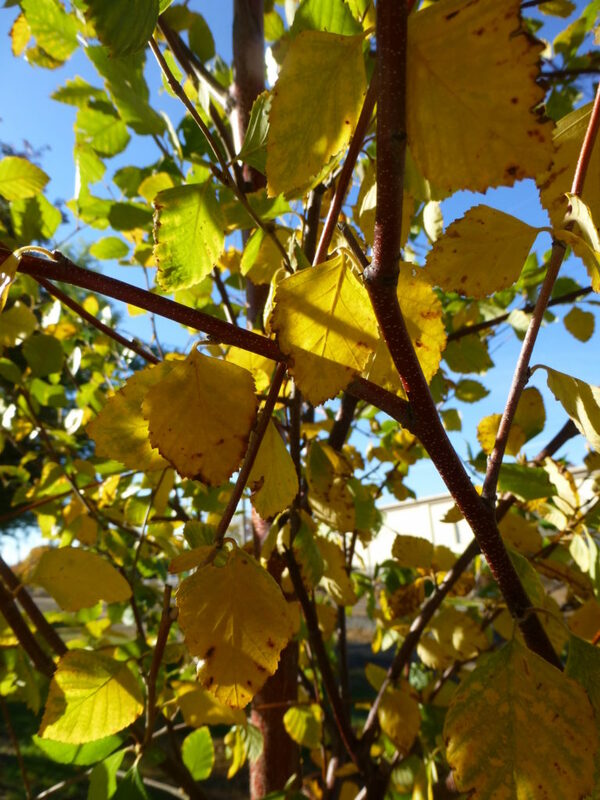 River Birch, Betula nigra “Heritage”, is best known for chalky exfoliating bark and rustling heart shaped leaves. 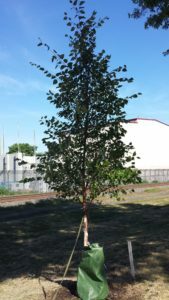 River Birch “Heritage” is one of the trees featured in the George Harding Memorial Garden at the American Horticultural Society at River Farm in Virginia.